Are you, or is someone you know, a narcissist or narcissistic? Know there is a huge difference between the tow you can be narcissistic and not be a narcissist. 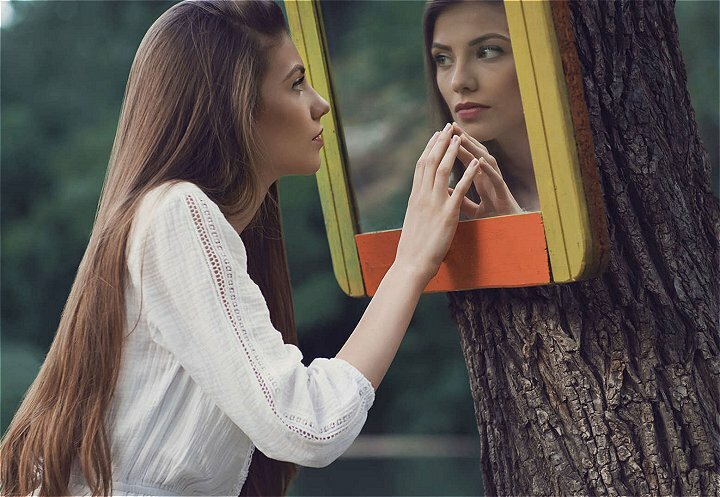 If you’re wondering if you are either a narcissist or simply narcissistic, chances are you’re probably not a narcissist. It would be very rare for a narcissist to wonder if he or she was a narcissist because that would be the furthest thing from his or her mind. Narcissists do not see themselves as being narcissistic at all. But you may at times act or be perceived as being narcissistic, expressing yourself in a way that might make someone else wonder if you might be a narcissist, and this can be perfectly normal and even a positive attribute now and then in any normal healthy normal person’s life. Being a little narcissistic periodically is not the same as being a narcissist. A narcissist is someone who suffers from a personality disorder which can be diagnosed as Narcissistic Personality Disorder or NPD. The biggest distinction between expressing yourself or being perceived by others as being narcissistic and being a narcissist (one who is either diagnosed or undiagnosed with NPD) is that one comes and goes, and the other you’re stuck with. A narcissist possesses a majority of these attributes (more than half consistently) throughout their life. You can see that some of these attributes are good ways to express yourself when you’re feeling confident, have high self-esteem, are proactively getting things done, setting boundaries, or protecting yourself and your sacred space. If someone is not used to you exercising any of the attributes in the above list of NPD traits, which might be a natural act of self-preservation, choosing to increase your level of efficacy, desiring to experience a life in a higher emotional state or vibration, they may be surprised, shocked, and/or take it personally. If they don’t know you very well, they may accuse you of being a narcissist. Clearly, you are not a narcissist, just because someone didn’t like or respect your ability to take the driver’s seat and manage your life effectively. But you can’t blame them for knowing what a narcissist looks like. This is a good thing. Knowing how to identify a narcissist is an excellent skill to keep yourself suffering at the hands of a narcissist. Narcissists, are not malevolent, meaning they mean no harm, yet they do cause people around them to suffer, but there is no intent of malice. Don’t let it get to you, it’s just the way they are wired. Don’t take it personally. Realize that he or she is just doing the best they can; and keep a safe distance between the two of you to protect your sacred space, if you are so inclined. So, don’t worry if someone accuses you of being a narcissist or narcissistic, you know you are not. Maybe you just caught someone off-guard with you growing into a more mature person. Don’t let that slow you down. You can understand why they might have felt that way. Bless them and stay on track. As your skills increase, you can express yourself affirmatively a little more gently without shocking others. Until then, do not let someone else’s insecurities slow you down. You have the most exciting life waiting for you, and you are on your way to enjoying the best things in life. Author davidmastersadminPosted on January 23, 2019 Categories BlogTags make a stand, narcissist, narcissistic, protect yourself, setting boundariesLeave a comment on Narcissist or Narcissistic?